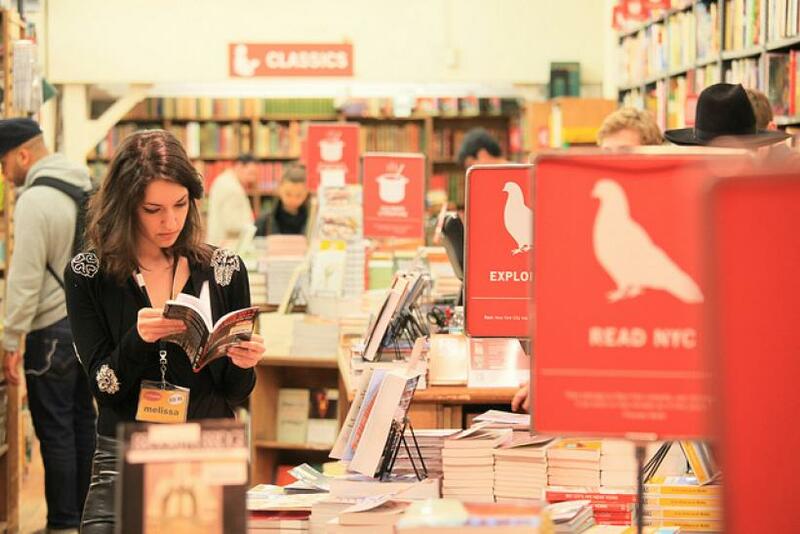 Booklovers will be thrilled to learn that this Saturday is the very first nationwide Independent Bookstore Day. Roughly 400 bookstores around the U.S. are presenting special programs on this special holiday, which was inspired by the popular National Record Store Day. If you’re a New York City bookworm, there are many ways and places you can celebrate. Brooklyn’s BookCourt is holding an event featuring writers, including Julia Dahl and Shulem Deen, sharing their favorite bookstore memories. Get there at 2 p.m., or arrive at noon for a separate event celebrating the release of a debut novel, Lance Rubin's "Denton Little's Death Date." The Strand, Broadway and 12th Street, which boasts that it has 18 miles of books, will offer signed chapbooks, which are small collections of poetry, by Roxane Gay, author of "Bad Feminist," as well as other signed goodies. At La Casa Azul in Harlem, an art exhibit opens Saturday, with the artists in attendance at noon. At 6 p.m., there will be a film screening of "Millie and the Lords," and a Q&A with the director, Jennica Carmona. Don’t forget to register to attend. The Astoria Bookshop in Queens is holding a sale of “awesome, exclusive books and art” and will have some cool giveaways as well. There will also be special events -- including literary trivia -- at 1 p.m. and 6 p.m., which you can learn more about here. Or, you can spend all day at Community Bookstore, in Park Slope, Brooklyn, where bagels precede storytime at 9:30 a.m. and free beer precedes a reading from a new novel at 7:30 p.m. There are also children’s events earlier in the day. The inaugural national holiday is an expansion of a celebration that began last year in California. For several years prior, the growth of bookstore chains like Barnes & Noble (which themselves have not been doing so well lately) and more crucially, the gargantuan online retailer Amazon, seemed to sound a death knell for small, independent, local bookstores. But in the past few years, independent bookstores in the U.S. have made a comeback, increasing in numbers by more than 25 percent since 2009, the Washington Post reports.